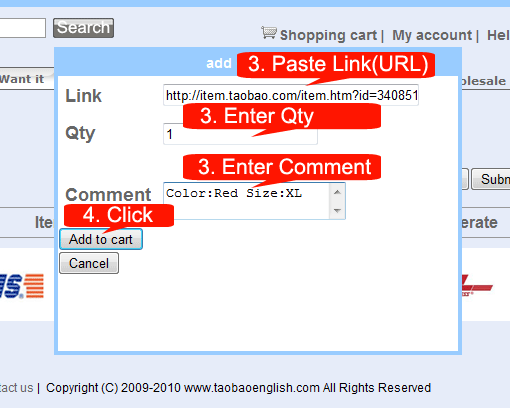 How to Place Order on ChinaBuyAgency(TaobaoEnglish).com? chinabuyagency.com is your buy agent from china, learn how to use it here. 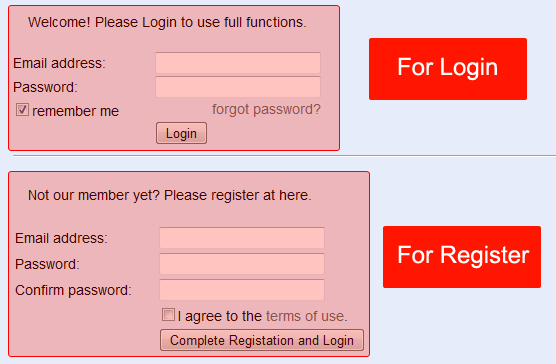 Just use your most used email to Register and Login, that will be easy to be remember. 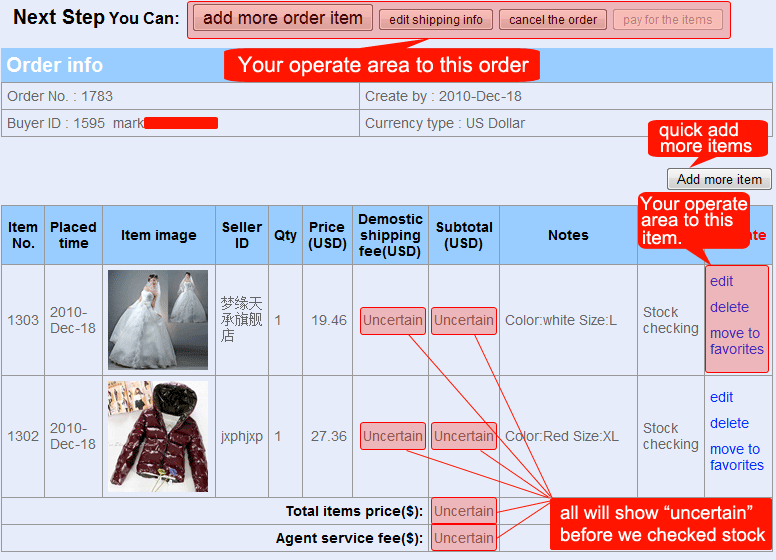 Place order: Click the “place order” buttom on the right side of homepage to add items, paste the items links and please finish the quantity and colors/size as remarks at the same time. Click submit to handle the order after you finish adding all items you want. 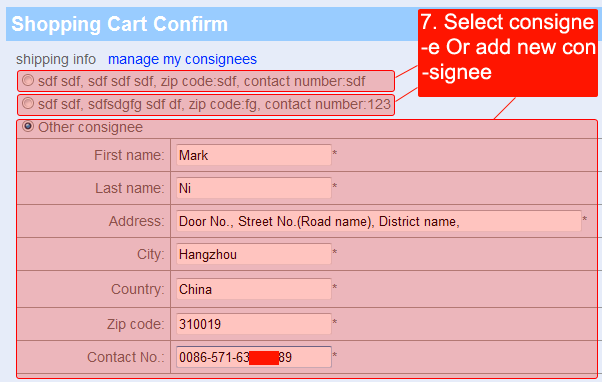 After you placed a order, the system will ask you to fill the shipping information including (name/address/zip code/contact number). Our customer service will check the items whether in stock or not, the information will be shown in the order page, so does the total quoted price of all available items. Visit my account>my orders can find your newest order page, and follow the status. You will be asked to make the first payment according to your payment method>>when all submited items have no problems for stock. Some items will become out of stock because of the uncertain stock in the purchasing process. So the money you paid before for out of stock items will return to your balance. 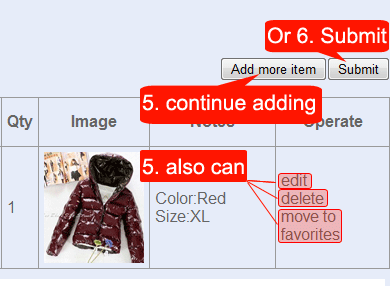 You can choose to add more items in the same order in this step. When we received the items, we will check the items carefully and weight them(package included), give the international shipping cost you need to pay soon later. Second payment for the international shipping fee according to the actual weight of the package. After the second payment, we will deliver the package and give you the tracking number. It will take 7-12days to your door by EMS normally (western countries). It is appreciated if you come back to "confirm receipt" in order details and leave a comment when you received the items, after your confirmation, the order status will change to "completed". if you forgot to "confirm receipt", the chinabuyagency.com system will default set the status to "completed" after the tracking page shows items arrived . Your positive feedback and support is the power which makes us try our best to offer you better agent service and make you more satisfied with the shopping process.